Dr. Aydin and our staff look forward to meeting you and discussing your cosmetic surgery goals. We strive to keep our appointments on time, as scheduled. Prior to your appointment, we encourage you to read and check out the patient forms that are located on this website so that you can accelerate your check-in process. We know you have questions and concerns regarding our procedures and treatments. We have provided information on some of the most common surgeries preformed by Aydin Center for Plastic Surgery. Please download the PDF files to review at your own convenience. 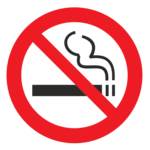 If you currently smoke and you make the decision to have surgery, you MUST quit smoking as soon as possible, a minimum of 4 weeks before surgery and at least 8 weeks after surgery. Note: These forms are in PDF format. If you do not have Adobe® Reader® on your computer, you can download it for free by clicking here or on the Get Adobe® Reader® icon.